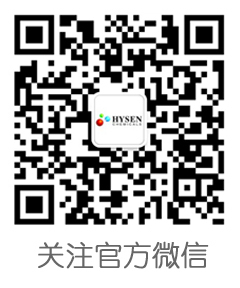 Waste Water Treatment - NEWS - HYSEN - Powered by Discuz! Industrial activity is one of the principal causes of contamination in water, given that industry dumps large amounts of chemical compounds into rivers that are not capable of degrading by themselves. While most organic waste is biodegradable, others, such as plastics, colorants or detergents, ever-present in industry, stay in the water impeding its use as a resource. It was within this context that Dr. José Ignacio Lombraña led his research at the Faculty of Science and Technology of the University of the Basque Country (UPV/EHU). His goal was to find new technologies to eliminate contaminant substances dumped in water, by means of a process known as advanced oxidation. As Dr. Lombraña stated, “this involves oxidising the chemical compound – as if the substance were being burnt in the water itself”. In order for the contaminants to be oxidised in the water, the Energy and Environmental Chemical Engineering team to which Dr. Lombraña belongs, used ozone (O3) and hydrogen peroxide (H2O2), two molecules that, under certain conditions, achieve great oxidative efficiency. The chemical process known as advanced oxidation enables the reduction of the level of contaminants to the point where they can degrade by themselves or otherwise continue to be treated using conventional methods. Dr. Lombraña stated that, “chemically it would be possible to eliminate them completely but, to do this, a great amount of oxidant would be required and under very costly conditions which would not be economically viable”. The advantage of ozone and hydrogen peroxide is that the process involves “clean” molecules, “unlike other substances such as, for example, chlorine, these molecules disappear on fulfilling their oxidative function”, explained Dr. Lombraña.